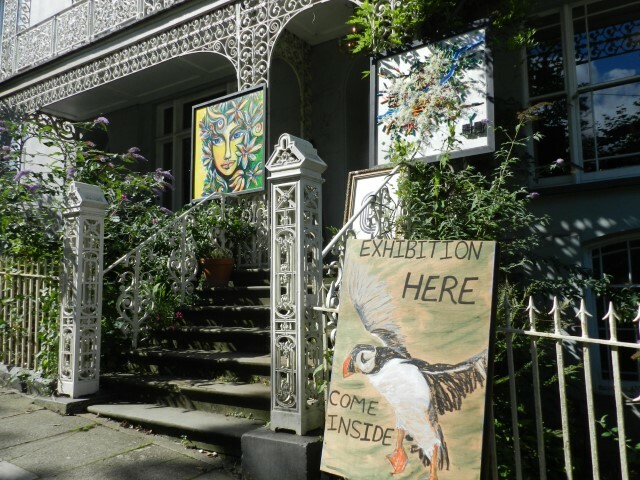 The Breaking out of the Gallery exhibition asks local artists both professional and amateur to create paintings, collages and mixed media images on large boards which are mounted around the streets of Pembrokeshire’s county town for the summer months. All of the images have now been brought together for a final exhibition at 8 Spring Gardens. The Breaking out of the Gallery exhibition can be viewed at 8 Spring Gardens until Friday, September 21. The project will celebrate the end of its third year with a party at Spring Gardens on Friday, September 21 from 6pm until late.